MADISON — As usual, Jon Leuer and Jordan Taylor dominated the Badgers’ stat sheet Tuesday night against the Boilermakers. But on a night when a blizzard turned the University of Wisconsin campus into a snow globe, it was Wisconsin’s lone Arizona native that stole the spotlight in the 66-59 victory over Purdue. Sophomore swingman Ryan Evans delivered by far his best performance of the season, and one that ranks right up there among the best in his young career. Something seemed to spark Evans on the night, as he continued to improve as the game went along. When asked about it, he attributed his energy to teammate Wquinton Smith and UW Chancellor Biddy Martin. “It’s been a rough year for me,” Evans said. “But [my coaches and teammates] continuing to believe in me, I knew that something had to get me going. I think one of the big things in the second half was Q — Q got in a little toss up with [Lewis] Jackson — and Biddy, I don’t know if Biddy’s in here but Biddy announcing that we don’t have school tomorrow, that got the fans going some. Evans shot 5-of-9 on the night for 10 points — his fifth career double-digit performance and first of the season — while grabbing one rebound and one steal. But the numbers on the box score hardly do Evans’ performance justice. After scoring four points in nine first-half minutes, Evans hit three of the biggest shots of the night in the second half. With his team trailing by six with 10 minutes to go, Evans slammed home a lob from Taylor, electrifying the crowd and completely changing the momentum of the game. But that dunk was only the beginning. With the crowd back behind them, the Badgers battled the Boilermakers in a back-and-forth game over the final 10 minutes, with a handful of plays by Evans putting Wisconsin over the top. In the final minute, as UW trailed by one following a layup by Purdue guard D.J. Byrd, Evans got the ball just inside the lane and without hesitation, pulled up for the two-point jumper. 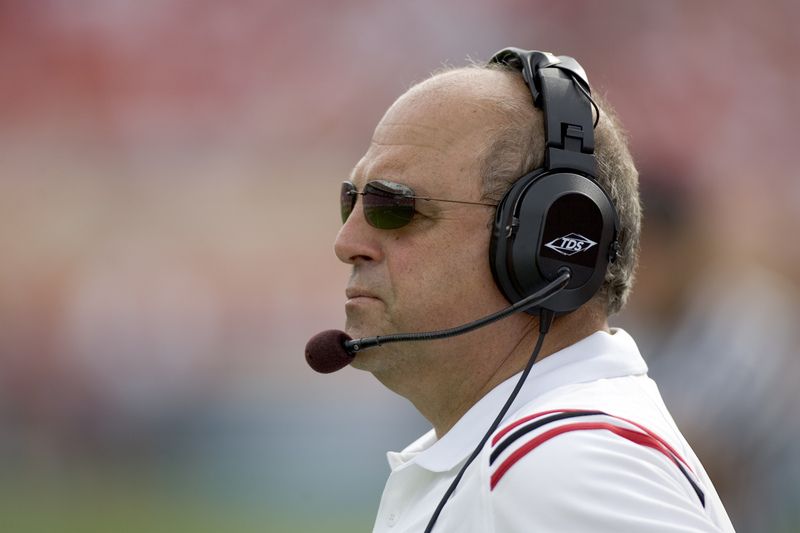 As it went through with 50 seconds remaining, Evans gave the Badgers the lead back, and one they would not relinquish. 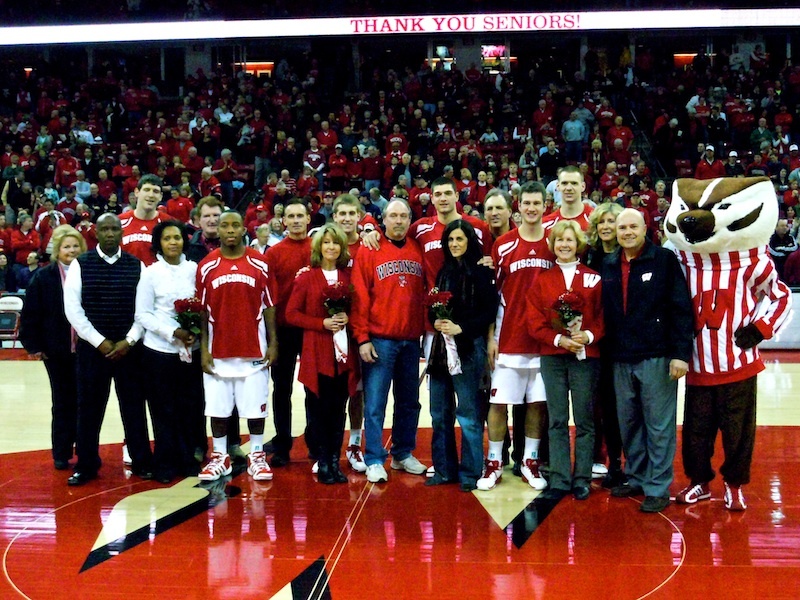 “Those are the shots that he can hit,” Wisconsin head coach Bo Ryan said. “That’s a very high percentage shot for him. So it wasn’t a surprise. If you look at the baskets he made last year, those are the types of shots that he shoots a very high percentage on. With two big second half shots to his credit, Evans had more than done his part, especially considering he entered the game averaging just 2.7 points per game on the year and 0.8 points per contest in Big Ten play. But he still was not done. After a Josh Gasser free throw gave Wisconsin a four-point lead with 31 seconds to play, Evans took the ball away from E’Twaun Moore on the other end. Evans’ steal set up a pair of Taylor free throws, which all but sealed the deal. Finally, in a fitting end that he could not have scripted better himself, Evans delivered the game’s final points to give the Badgers the 66-59 victory. Following a long rebound off a Moore missed three, Taylor found Evans streaking to the basket all alone. Once again, the crowd erupted as Evans threw down an emphatic breakaway dunk. MADISON, Wis. — It was far from the most graceful move of the night, but Hilary Knight’s celebration following her first period goal Saturday night said it all. After finding the back of the net just 47 seconds in, Knight “went for it,” doing her best Alexander Ovechkin impression by jumping into the glass behind the goal, before quickly falling to the ice. Knight’s goal, and enthusiastic celebration, electrified the NCAA record crowd of 10,668 at the Kohl Center, setting the tone for top-ranked Wisconsin’s 3-1 win over No. 4 Minnesota. The impressive crowd easily beat out two previous record crowds from the 2009 season. 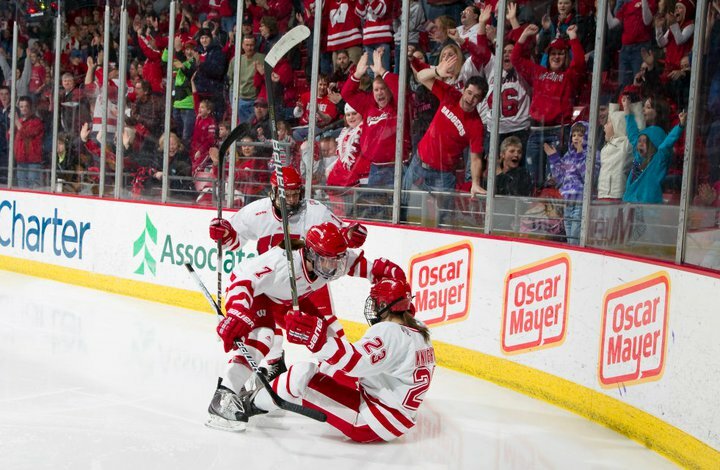 The previous women’s hockey Kohl Center record of 6,085 was set last January when the Badgers hosted Team USA for an exhibition, and the previous NCAA record was 8,263 set last February when Wisconsin defeated Bemidji State, 6-1, to kick off the Camp Randall Hockey Classic. Having played for Team USA in the 2010 Vancouver Olympics, Knight and team captain Meghan Duggan are no strangers to large crowds. But to see the largest crowd in NCAA women’s hockey history in their home arena for a game against their border rivals certainly was a special feeling. “It’s incredible,” Duggan said. “I just got the goosebumps actually thinking about it. After Knight’s goal kicked things off less than a minute into the game, linemate Brianna Decker tallied one of the more impressive goals you’ll see. It just so happened to also be the game-winner. With the Gophers on a power play, Decker got in front of a shot, took the puck on a breakaway, and put it past Minnesota goaltender Noora Raty for the goal. On a night when the Badgers were boosted by the sheer number of people in attendance, it was Decker’s shorthanded goal that clinched the victory. Minnesota cut the lead to 2-1 with a shorthanded goal of its own in the second period, when Becky Kortum took the puck away from the Badgers and bounced the puck off the pads of netminder Alex Rigsby and into the net. Seven minutes later, Carolyne Prevost skated through a pair of defenders and went five hole on Raty to give Wisconsin its two-goal lead back at 3-1. While that would be the game’s final tally, Minnesota never stopped fighting, giving Wisconsin a battle all the way to the final horn. The Badgers, who maintained their crowd-fueled energy throughout as well, appeared to have sealed it with an empty-netter in the final minutes, but it was negated by an offside call. The huge crowd erupted as the puck hit the net, and while one of its loudest cheers of the night was for naught, the energy of the 10,668 in attendance helped Wisconsin maintain its energy throughout a tough, physical battle with Minnesota. For Wisconsin, the timing of the “Fill The Bowl” event could not have been better, either. After taking two points with a shootout win Friday night, the Badgers led by 13 points in the WCHA standings over the second-place Gophers. With the win Saturday night, UW increased its lead to 16 points, all but clinching the WCHA regular season title. With six games remaining on the schedule, Wisconsin sits just two points from its third WCHA conference championship and its first since the 2006-07 season.